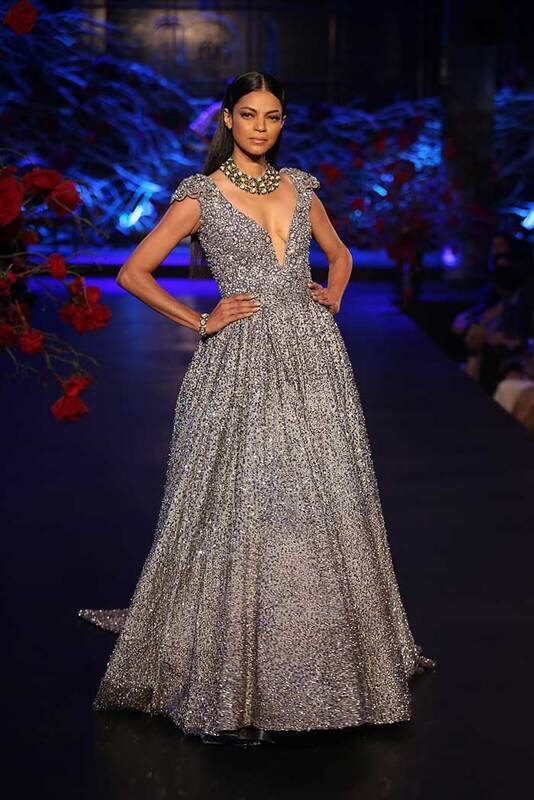 Breathtaking Manish Malhotra Designs You'll Want! 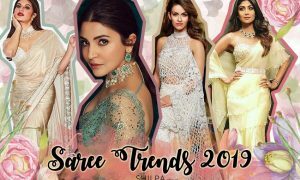 From sarees to gowns to designer lehengas by Manish Malhotra, here are the 25 most gorgeous Manish Malhotra designs from the newest collections you’ll love! Hey gorgeous! 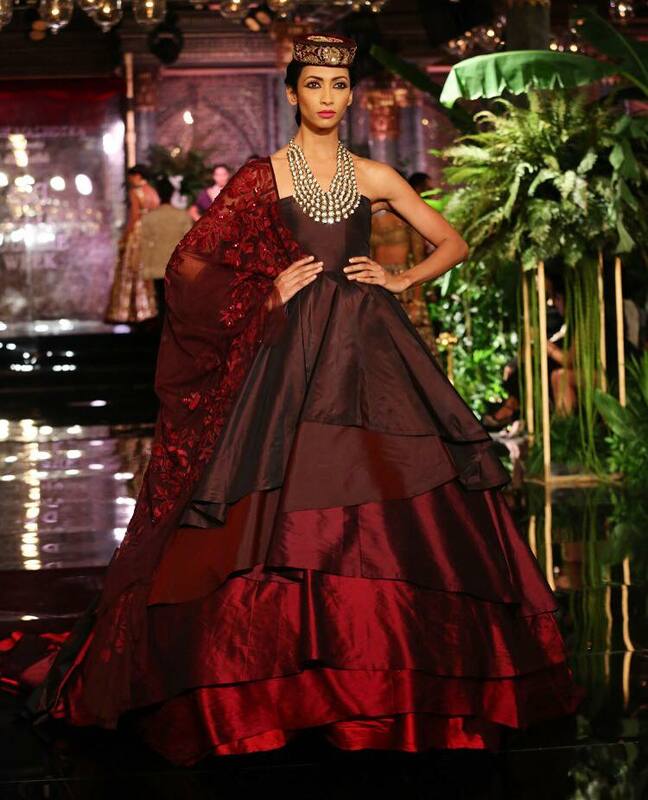 Indian fashion is always rich and opulent, and that’s what we love so much! 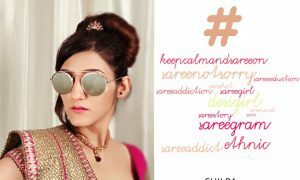 Some of the designers in the Indian fashion arena truly know how to bring the best out of our culture through fashion. 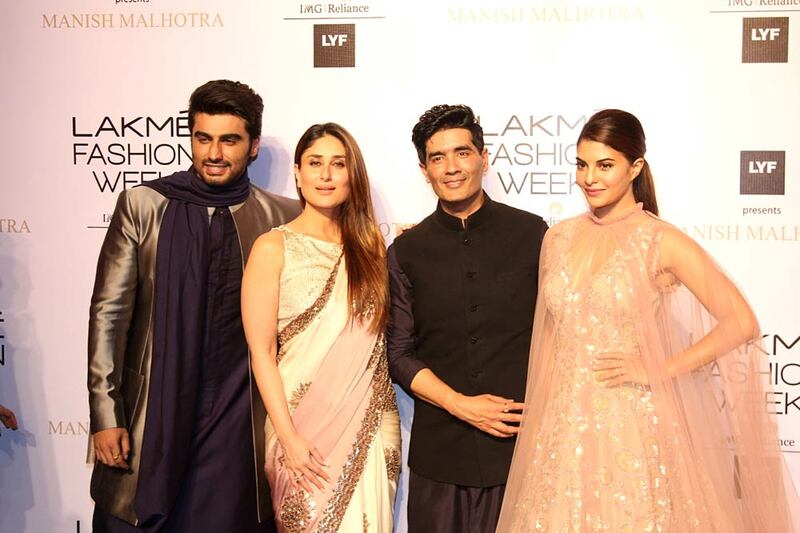 From moderately okay-ish to what-is-that to absolutely mesmerizing, we’ve seen it all by the Indian fashion legend that is Manish Malhotra. 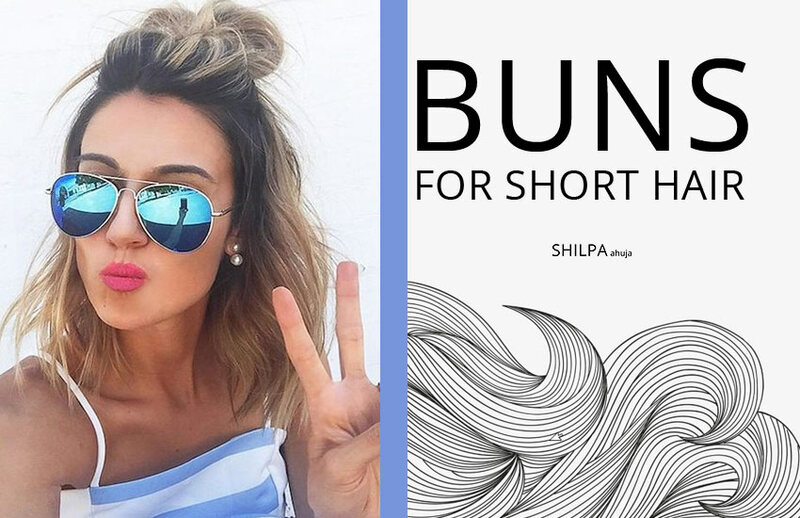 I’ve written both disappointed and good reviews for his designer collections. But admit it or not, the dude does let the work speak for himself on the runway. 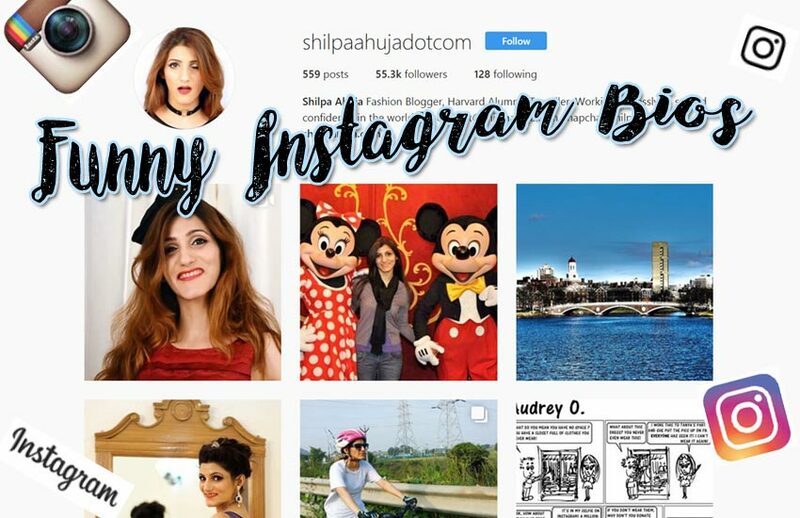 And our readers agree, considering they are always asking us to post more – they want to see the latest Manish Malhotra designs on our blog, they want their wedding wear to be inspired! My second favorite is this more casual, less embroidered one in pink with white and yellow embroidery panels, worn with an off-the-shoulder choli. The long train is quite a statement, perfect for engagement ceremonies. 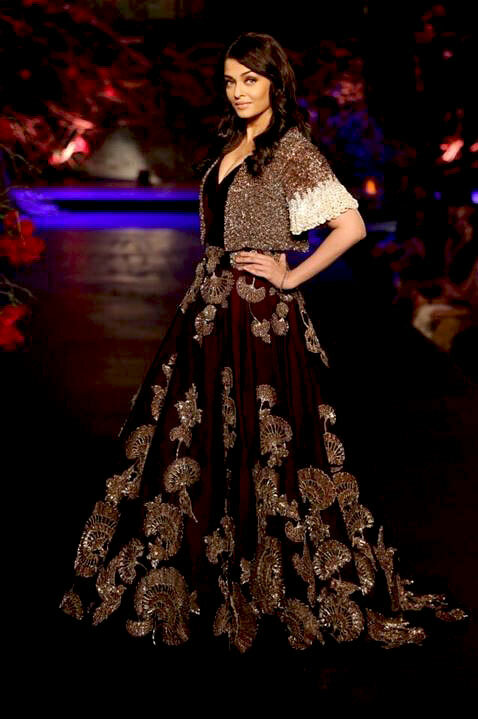 Here’s a maroon lehenga with antique gold embroidery, worn on Aishwarya Rai from Autumn Winter 2015, paired with a short-sleeved crop jacket. 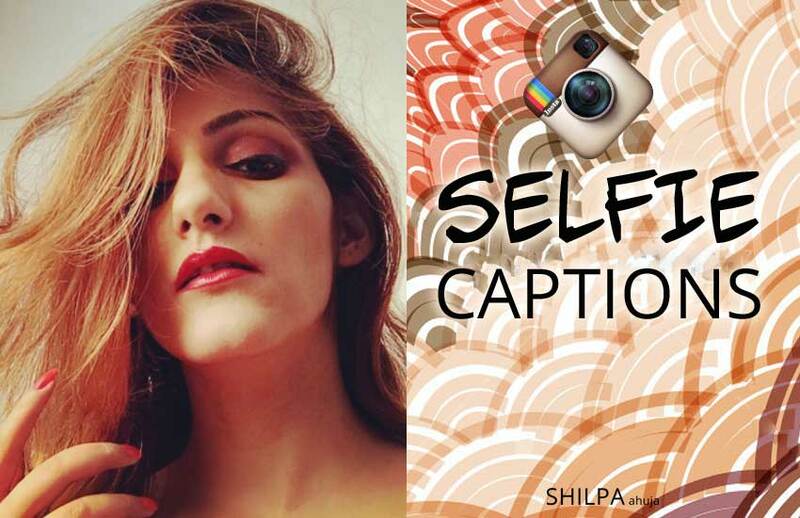 Looks great, and yet, not as gorge as Aish herself! One more on Bollywood beauty Deepika Padukone from Couture 2016 collection, this lehenga is one of my favorite bridal lehengas by Manish Malhotra. 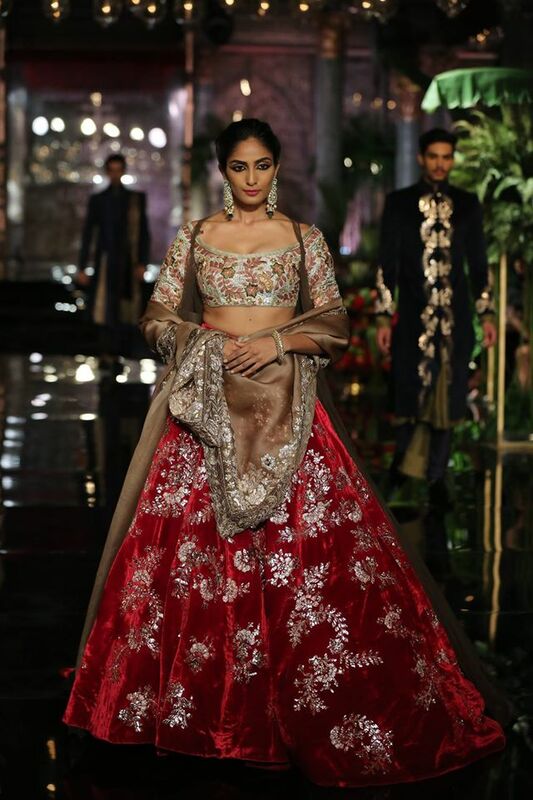 The deep red embroidered lehenga is paired with off-the-shoulder choli and has a long trail too. 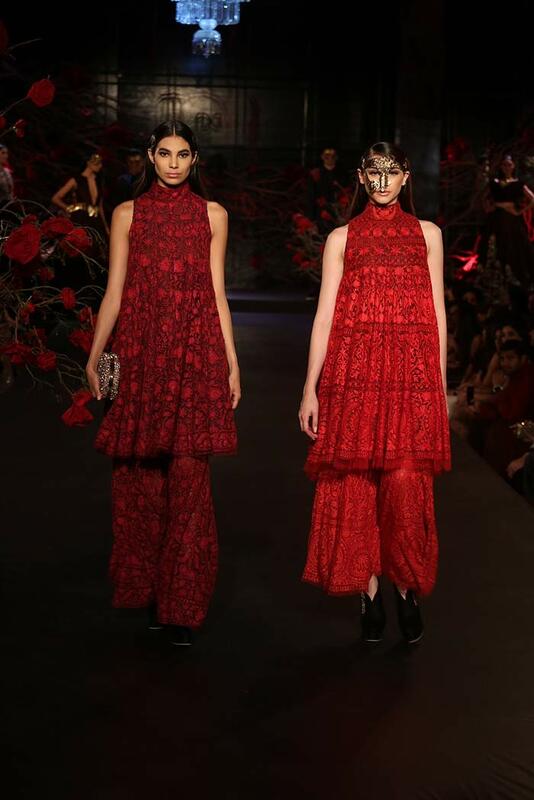 This one’s similar to the topmost lehenga, with a plain velvet choli and embroidered lehenga in deep crimson. 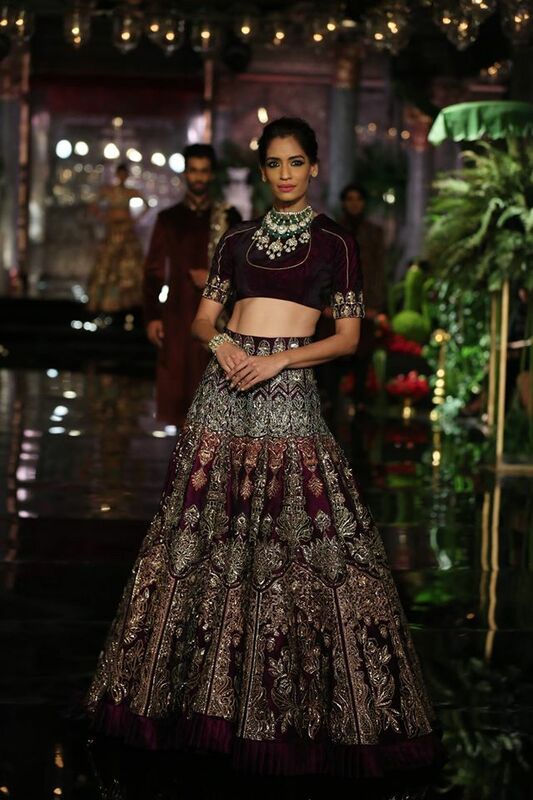 Here’s another bridal lehenga – one of the less heavy Manish Malhotra designs. 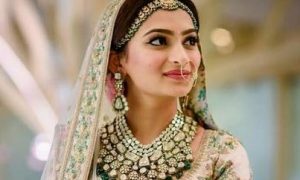 I like the contrasting dupatta – a light brown colored one paired with a red velvet lehenga and pale grey designer choli. Here’s a similar concept but with analogous colors, which has become a trend in lehenga color combinations in 2017. 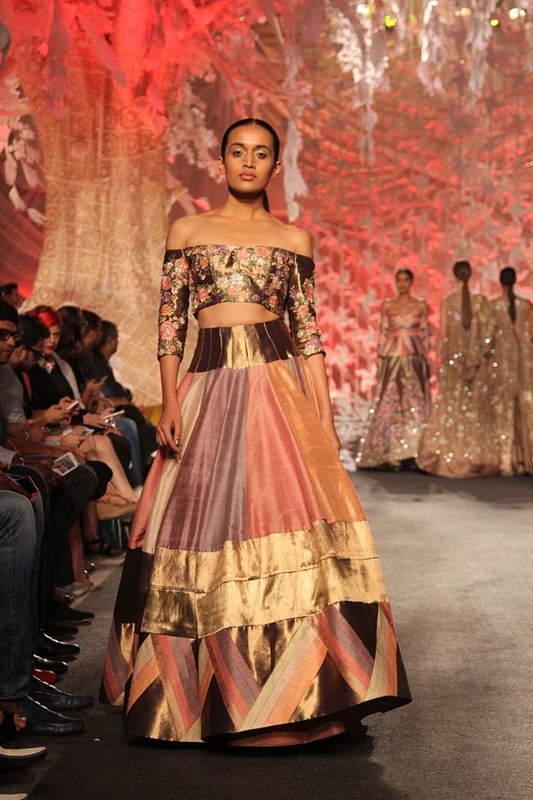 This dark chocolate brown lehenga is pared with crimson dupatta and pale gold choli. I’m liking the modern look. One of the best things about Manish Malhotra designs is that they keep toeing the line between experimental and traditional. 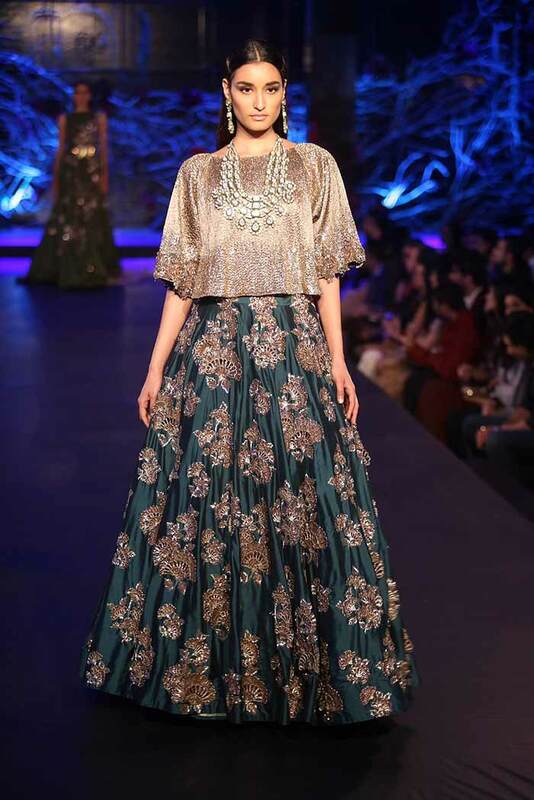 Here’s a deep teal lehenga, replete with his signature embroidery motifs, but paired with a kaftan-like top in antique gold. The loose top gives a cool, uber touch, whereas the jadau necklace makes it royal, too. Like a modern princess. Here’s another one of modern Manish Malhotra designs – an off-the-shoulder choli paired with a paneled lehenga with color-blocking in sunset shades. 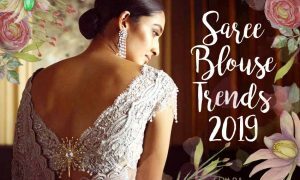 And this white lehenga has a sheer poncho over a crop choli, which is another trend this year. Another similar one… I don’t like the embroidery motifs here, but the overall look is elegant. 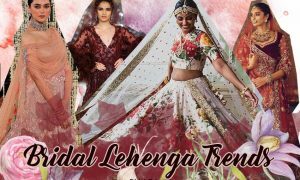 And let’s finish off this section with this latest lehenga design – a black one with asymmetric embroidery and sheer choli with embroidered leaves. 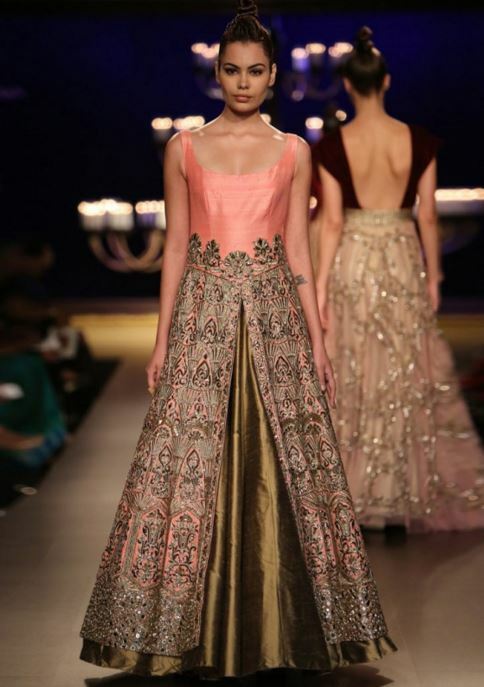 The things to love about this lehenga are the unconventional embroidery patterns and the bold sheer top. Since the lehenga section took a while, and I have to get through loads of my favorite gowns by Manish Malhotra, I’ll keep the saree section short and sweet! 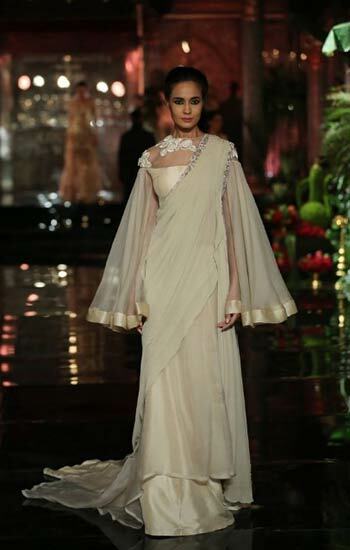 Here’s a creamy white pleat-less saree gown-thingie with bell sleeves and sheer blouse – super cool and trendy! 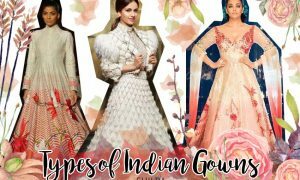 There are so many different varieties in designer gowns by Manish Malhotra. Let’s start with this popular style from Spring 2016 collection – an embroidered gown with a floor-touching sheer poncho in cream and pale blush color. 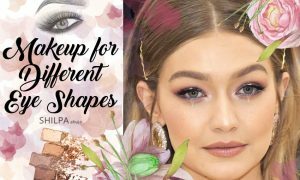 This one in shades of burgundy and wine is lovely especially because of its different colors used in its layers. Love the lace scarf, Parsi hat and necklace. The whole look is a vision. This beauty is the perfect bridesmaid or engagement gown. 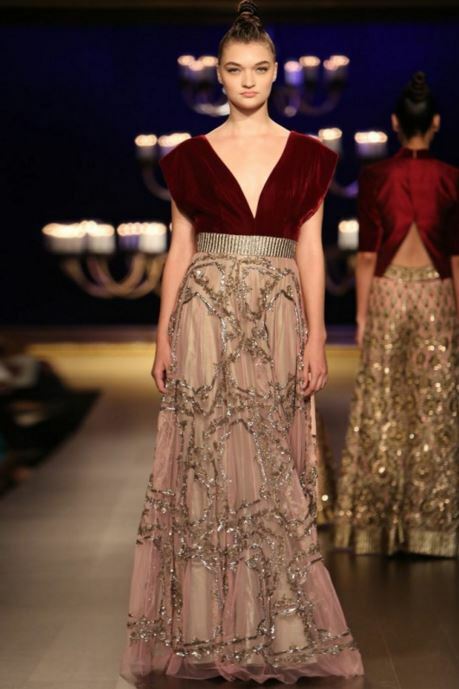 Plain peach top with olive colored skirt..
Here’s a unique belted gown – wine-colored velvet gown with a blush embroidered skirt. It’s not an experimental design, but just more western with its empire-waist style. Here are some more western designs, a pale lilac one which I love mostly because of its statementy fringe clutch. And this silver one with a plunging V-neck. One of my favorites is this red gown with asymmetric embroidery and plunging V-neck, perfect as the bridal gown for engagements or small weddings. And here are two full-sleeved gowns with rich embroidery. 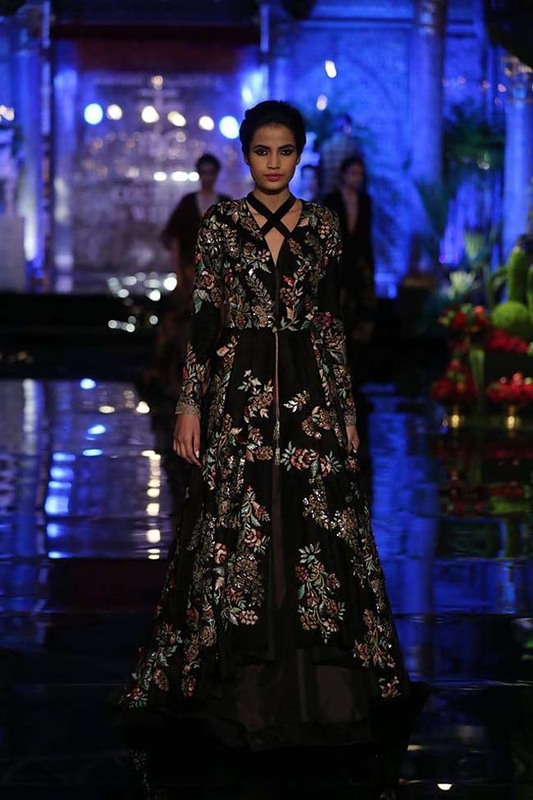 In the recent collections, Manish Malhotra designs have been mostly about Indo-western silhouettes than traditional suits. My favorite one is super elegant and lady-like – a Chinese collared tunic with bird and botanical patterns, paired with crop cigarette pants. 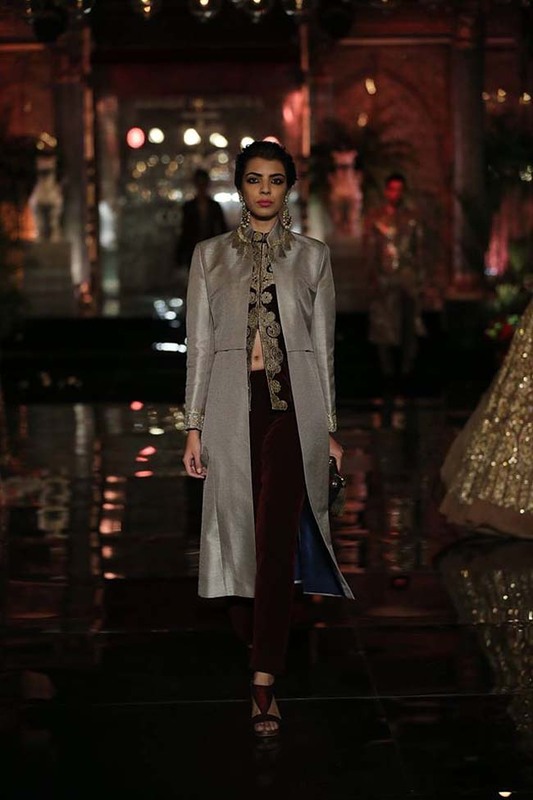 This designer outfit has a front-open, Chinese collared knee length jacket, paired with a crop top and velvet skinny pants. These suit designs are very different – waistless A-line silhouettes ending at the knee, paired with palazzo pants. All the suits are great ideas for weddings, sangeets or parties. 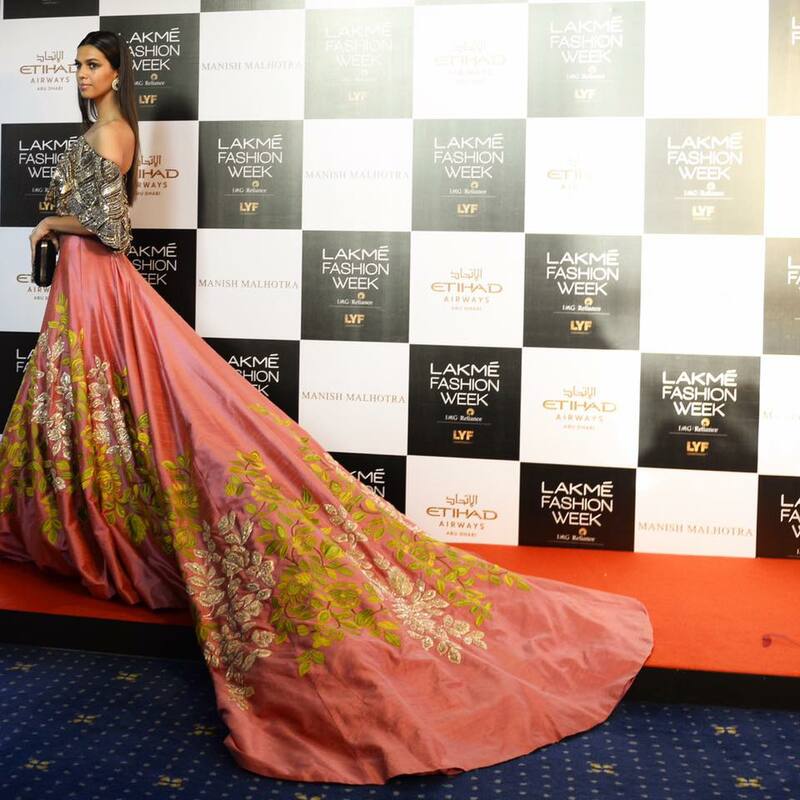 So these are my 25 favorite Manish Malhotra designs across women’s fashion categories. Which one did you like the most? Wow so beautiful, I’m his biggest fan!